Florida residents: Receive Khaas Baat every month at home or office by e-mailing your name and address to editor@khaasbaat.com. KHAAS BAAT, 18313 CYPRESS STAND CIRCLE, TAMPA, FL 33647 with your name and address. 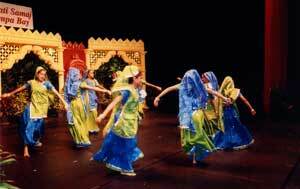 Looking to sit and watch traditional Indian music and dance? Got the urge to shop for some new outfits and jewelry for Diwali? Craving for scrumptious Indian delicacies? Then Tampa should be your city of choice on Saturday, Oct. 27 as the daylong India Festival is held at the University of South Florida Sun Dome. Presenting the event is the India Festival Committee of Gujarati Samaj of Tampa Bay (GSTB). Spearheading the efforts are GSTB President Dinesh Gandhi and India Festival Chairperson Swapna Shah. It’s time to dust off those chaniya cholis and pull out the dandiyas from inside the closet! 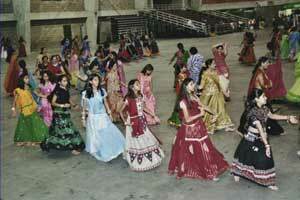 Navratri, the festival of nine nights, is here. Here are some of the communities in Florida that are holding Dussehra/Navratri activities. The Gujarati Samaj of Tampa Bay will hold Navratri celebrations at 8:30 p.m. on Oct. 12-13 and Oct. 19-20 at the Entertainment Hall, Florida State Fairgrounds, 4800 U.S. 301 N. It is free for Samaj members. Louisiana gubernatorial candidate U.S. Rep. Bobby Jindal made a brief stop in St. Petersburg on Sept. 20, just one month before his election. 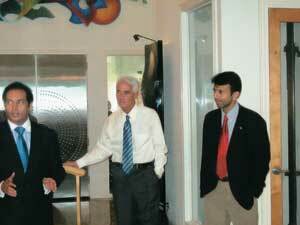 Jindal, the only Indian-American in Congress, attended a fundraiser at the home of Dr. Akshay and Seema Desai in St. Petersburg. Also in attendance to give his endorsement was Florida Gov. Charlie Crist. Congressman Jindal is considered to be the front runner in the Louisiana governor's race. Now 36 and making his second bid for the governorship, Jindal is hoping voters see him more as a hard-working team player. To date, Jindal's overall campaign contributions total more than $10 million with $105,000 being raised at Desai's fundraiser. For the first time in history, Indian Cultural Society of Jacksonville along with the Jacksonville Bhangra Group and University of North Florida students are presenting a play "Ticket to Hollywood" on Oct. 27 inspired by the epic Ramayan. But it is a musical play – a story line followed by the sequence of Bollywood songs relevant to the story line presented in a modern way. For those of you who always wanted an initiation into authentic yoga and meditation, here is a golden opportunity. 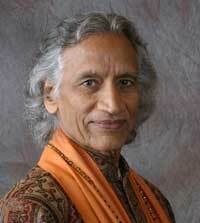 The world- renowned Yogi Amrit Desai is coming to town! Gurudev Shri Amritji, as he is popularly known, will conduct a weekend seminar/workshop on ‘Amrit Yoga’ his specially designed system, on Oct. 19-21, at the community hall of the Hindu Temple of Florida, 5509 Lynn Road, Tampa. Get more in the upcoming events sections, youth highlights, health updates and read book reviews in this edition of Khaasbaat. FLORIDA RESIDENTS: To receive Khaas Baat free every month at your home, send your complete mailing address to editor@khaasbaat.com with NEW SUBSCRIBER in the subject line. CRUNCHING ‘EM NUMBERS: should you hire family members? WHAT IN THE WORLD IS GOING IN THE MORTGAGE WORLD?